Despite failing to get maximum points, Borussia Dortmund extended their lead at the top of the table by a point. Bayern Munich’s defeat at Leverkusen meant that Dortmund’s draw with Frankfurt didn’t harm the team’s ambition to break Bayern’s dominance in the Bundesliga. Luka Jovic remains top scorer with 14 goals. Luka Jovic and Marco Reus both added a goal to their tally in the lead. 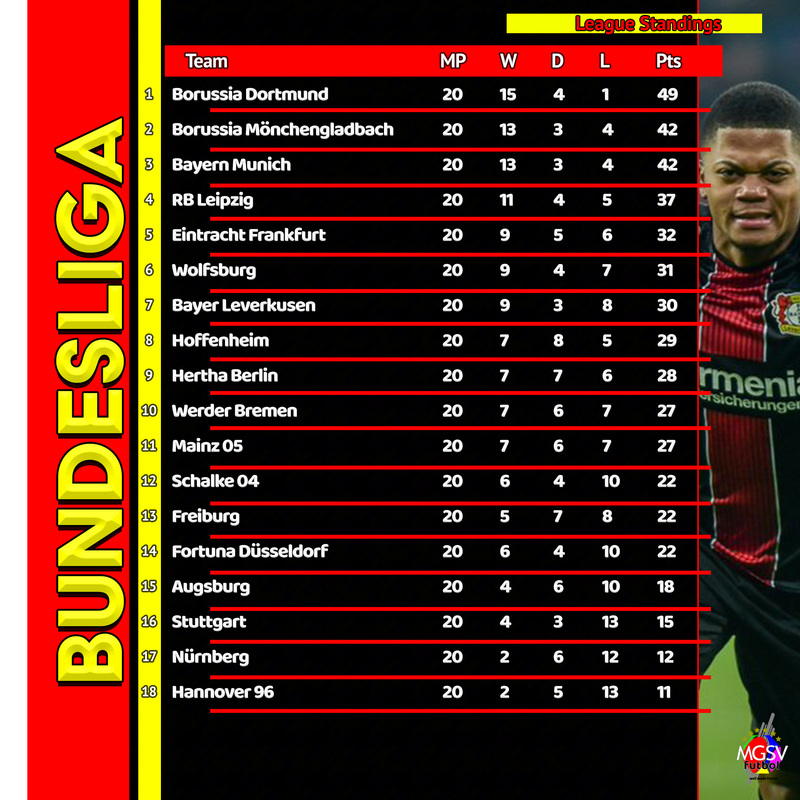 League leaders Borussia Dortmund failed to get the maximum points at Frankfurt, but thanks to Leverkusen, the result didn’t make a dent in their lead. RB Leipzig kicked off the round with an expected victory against bottom table Hannover 96. Hoffenheim dropped points at home to Fortuna Dusseldorf in a ‘1-1’ draw. 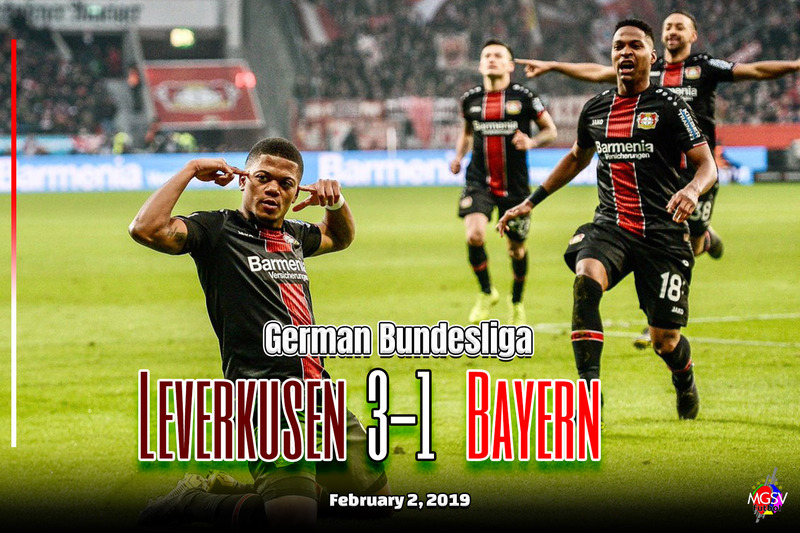 Bayer Leverkusen found three goals in the second half to come from behind and knock defending champions Bayern Munich‘s hopes of closing in on the top spot. Wout Weghorst scored the winner for Wolfsburg to move 3 points away from Hertha Berlin. Relegation-zoned Nurnberg rescued a point against Werder Bremen. Two goals in the final 5 minutes against a 10-man Schalke side allowed Borussia Monchengladbach to take full advantage of Bayern Munich’s slip at Leverkusen and move up to second in the league standings after an away victory against Schalke. 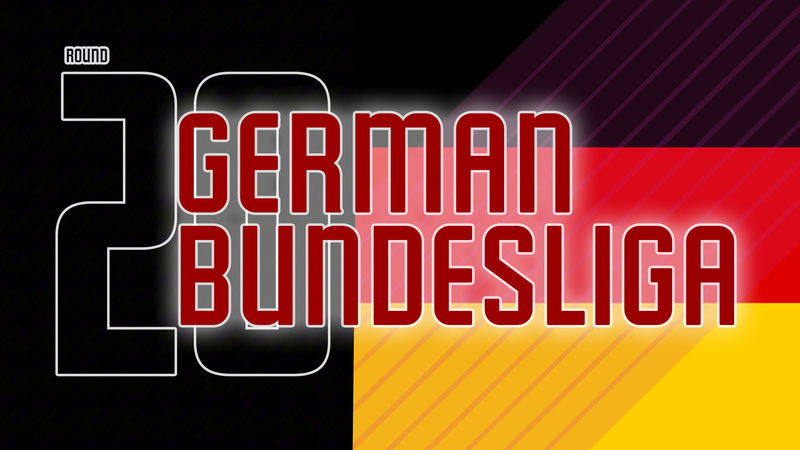 Augsburg to a 3-0 victory against Mainz. 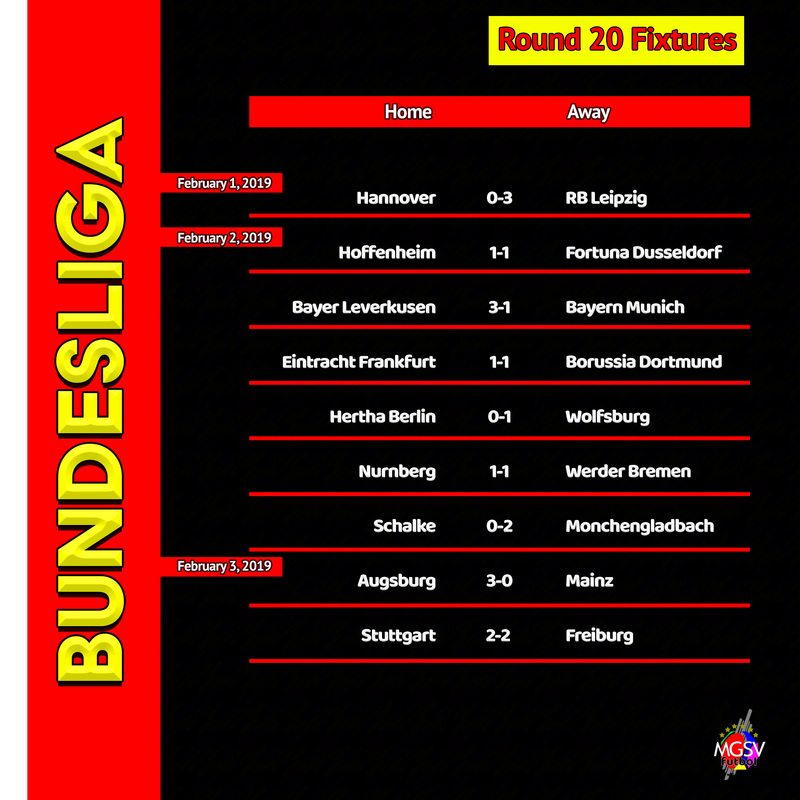 Stuttgart and Freiburg are still in search for their first win of the calendar year. Florian Niederlechner scored a foal in the final minute of additional time to Freiburg level for a 2-2 draw.